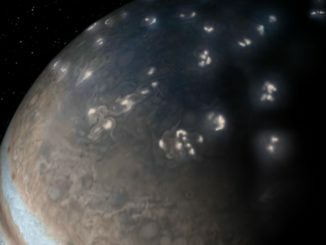 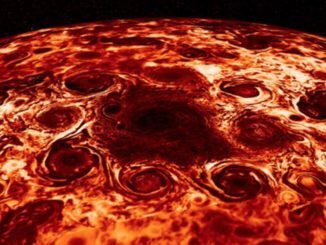 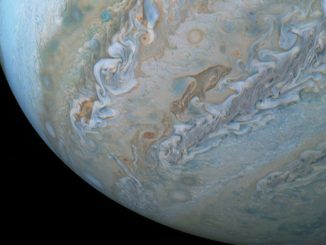 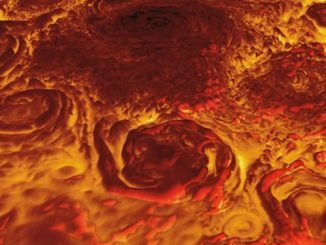 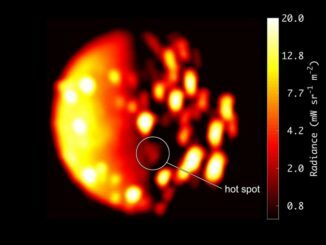 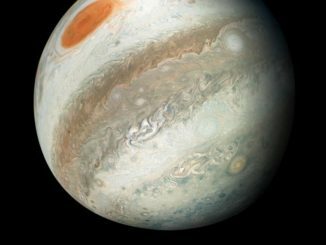 Finding figures and other shapes in overhead clouds is a familiar pastime on Earth, but on Jupiter? 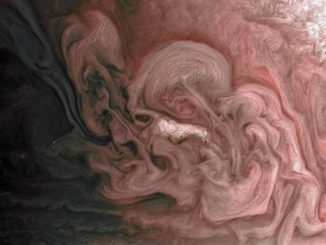 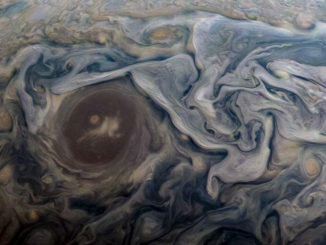 An image from the Juno orbiter features a cloud formation that looks remarkably like a dolphin swimming through the giant planet’s turbulent atmosphere. 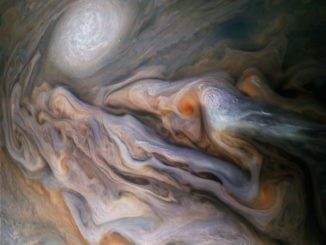 NASA’s Juno spacecraft has found Jupiter’s cloud belts and zones extend down some 3,000 kilometres and contain about 1 percent of the planet’s mass. 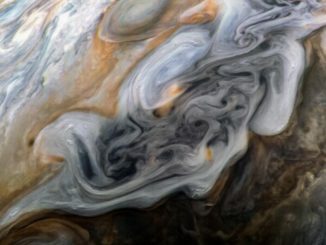 Below that, the world seems to rotate as a nearly rigid body.